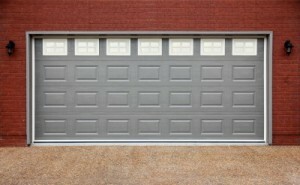 31-W Insulation is proud to offer garage door installation services in Atlanta, Georgia, and the surrounding communities. If your old garage door is damaged or not functioning properly, it can detract from the appearance of your home and pose a safety hazard. Fortunately, you can turn to the professionals at 31-W Insulation to provide you with the products and services you need to enhance your home with a new garage door. Style – Choose from carriage house, traditional, and specialty garage door styles that are designed to complement the appearance of any home. Color – Your new door is available in a range of neutral color tones as well as woodgrain finish options. Windows – Whether or not you choose to include windows along the top of your garage door, you’ll find plenty of panel and grid options available for your door. Decorative hardware – You can add decorative hardware to put the finishing touches on creating your one-of-a-kind garage door. What’s more, Amarr® garage doors are built with reinforcements that provide wind load resistance and come with insulation options that can improve the energy efficiency of your Atlanta, GA, home. No matter how you choose to customize your door, you can rely on the factory-trained professionals at 31-W Insulation to take care of your garage door installation with expert care and precision. With our installation services, your new door is sure to look great and function flawlessly for years to come. If you’d like to learn more about the garage door installation services we offer to homeowners in and around Atlanta, GA, contact 31-W Insulation today.